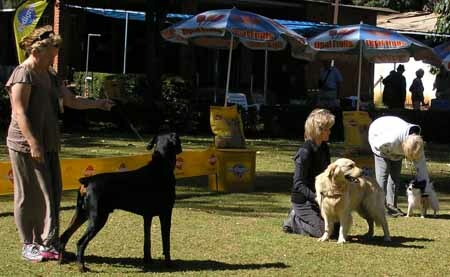 This Breed Show is always held after the completion of the Mash Ladies Kennel Association. 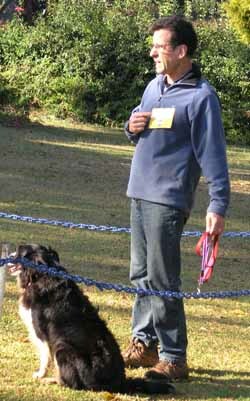 Again the weather was sunny and the same dogs were entered, but as the Judge was now Mr SN Kay, the result does differ from the previous show, where his wife judged. 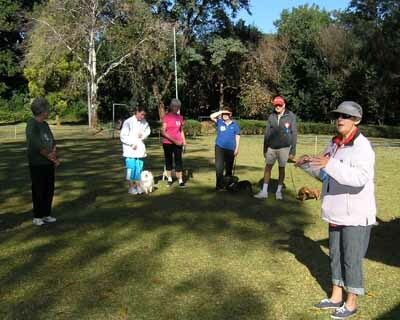 This entry was posted in Shows on 23 June 2013 by Ilse van Erp. 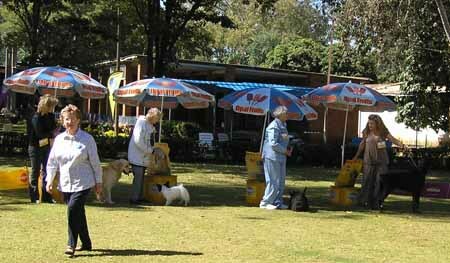 The yearly Breed show was held in the grounds of Kennel Club. A cold morning, but blue skies and sunny, which helped to warm up the day. A welcome speech to announce the 59th breed show of the club and it was mentioned that one of the founder members, Mrs Dorothy Twiss, many of you will remember her as the past Head Mistress of Arundel Girls High School, was at the show. She celebrated her 90th birthdya last year. 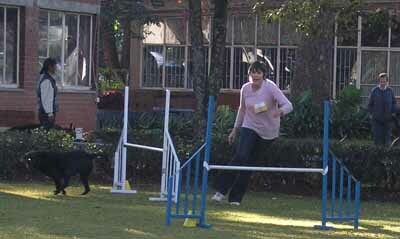 The Judge was Mrs S Kay from S Africa. 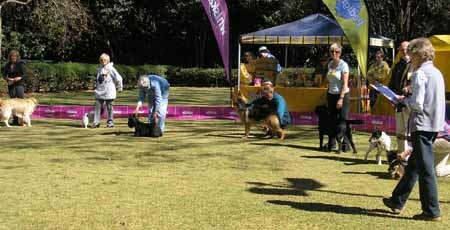 Third the Giant Schnauzer Lanstone Russel’s Boy. 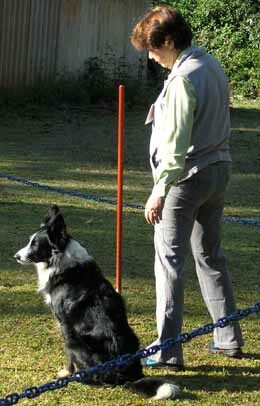 Gordon Grierson has kindly agreed to start Working Trials training on Saturday mornings at 9am. 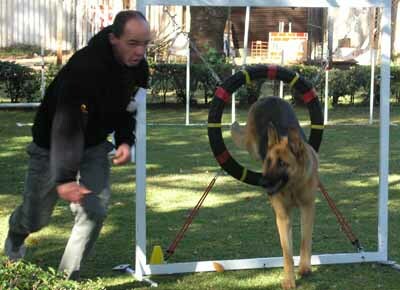 The training will be at the GSD Club apart from the last Saturday of the month, when Gordon will train Agility at the Kennel Club of Harare. Please could anyone interested in doing the Working Trials contact Geraldine (contact details below) so that we can establish numbers?? 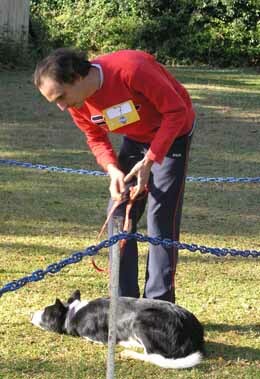 HOWEVER, Gordon says that as he has committed himself to training every Saturday, he expects handlers to be as committed as he is. 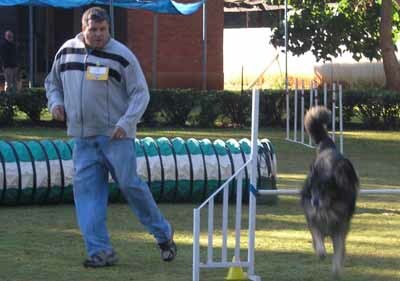 He is looking for a solid group of people who are prepared to train EVERY Saturday and not just when it suits them. 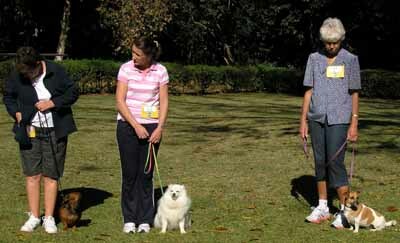 Obviously, from time to time, one wouldn’t be able to attend training (good reason needed!) and then he must be informed. 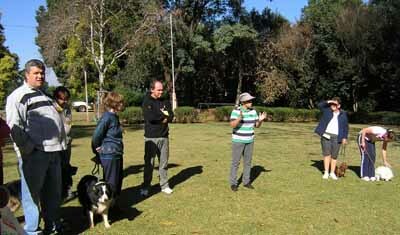 The first training session will be this Saturday, 22 June, at the GSD club. 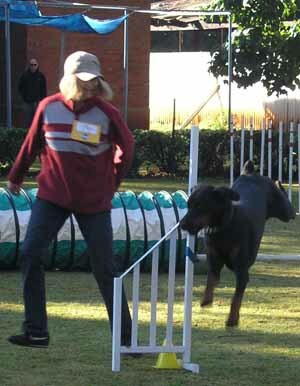 This entry was posted in Kennel Club Training on 23 June 2013 by Ilse van Erp. Today (9th June) was again a fantastic sunny day. 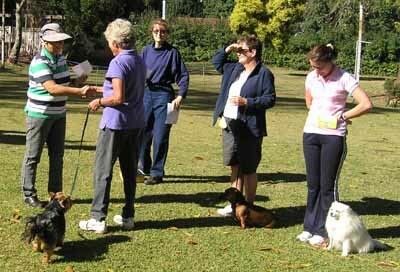 The same dogs were entered for all classes. 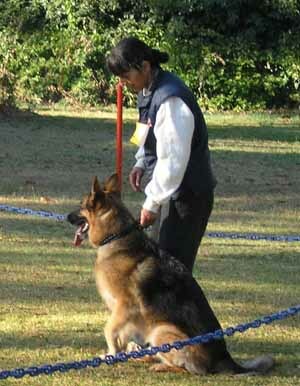 The ring stewards were provided by the German Shepherd Dog club, to relieve the ones from yesterday. 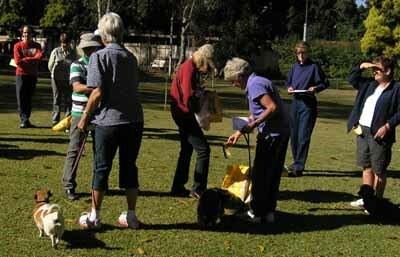 After the Obedience Show and the Canine Good Citizen Tests, Mrs Taentzer did a free talk on Dog Carting and introduce us to this dog sport. 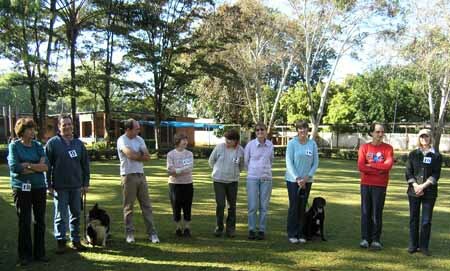 All Dog Jumping competitors Ursula, Tim, Bruce, Linda, Cherrie, Athena, Sheena, Paulo, Geraldine. 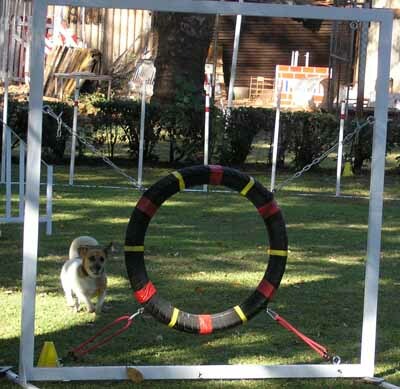 This entry was posted in Shows on 9 June 2013 by Ilse van Erp. 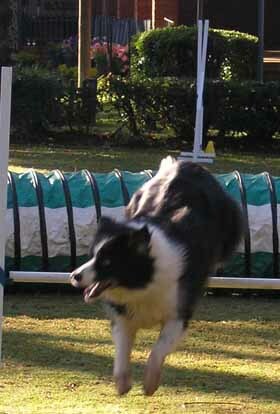 Working Breeds Club Championship Dog Jumping show. 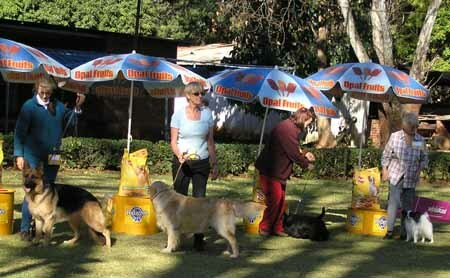 The show was held at Kennel Club of Harare on the 8th of June. 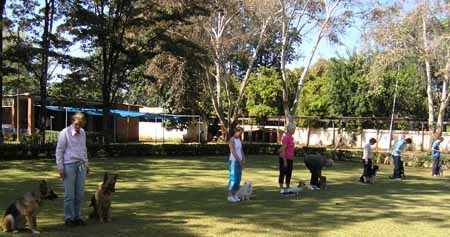 The day was sunny with a cloudless blue sky which is the norm here in Zimbabwe. Temperatures varying between early in the morning 16 to over 22 degree during the day. 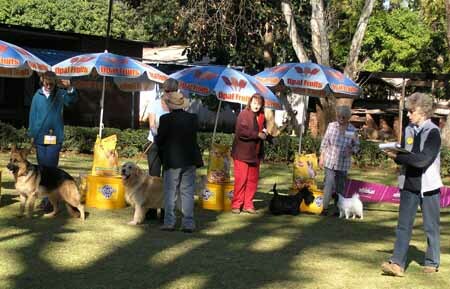 Ideal for all dogs. 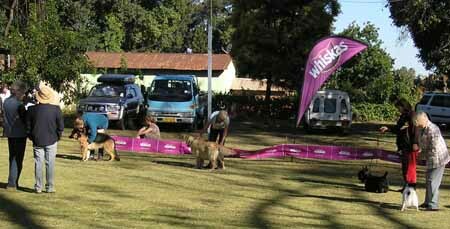 The judges came from S Africa and we provided them with their ring stewards as well as people writing up the scores on the score boards, time keepers for the Dog Jumping etc. 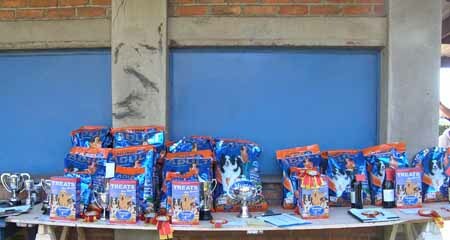 Masses of prizes were displayed on a table and prize giving was done after all Dog Jumping classes had finished. 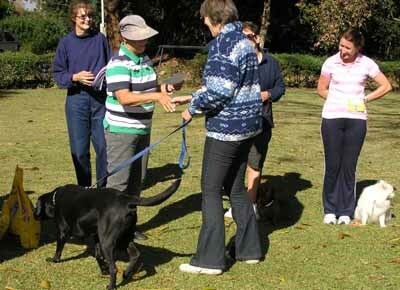 The same for the Obedience classes. 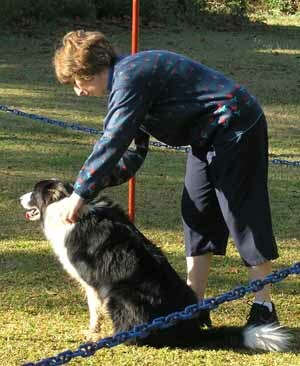 Mrs Yvonne Taentzer gave various seminars on Dog Jumping, Obedience and Working Trials during her stay here. 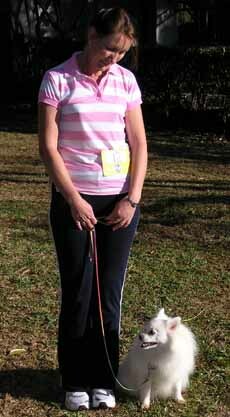 Sheena Lawrence: OK I will jump and my dog nugget will run next to me. Tim with Josh: You mean ME to jump? Bruce with Tsilk sailing through. Milo realy DID go through!! 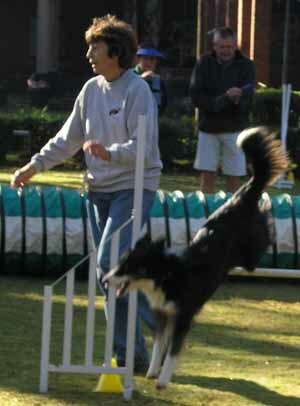 This entry was posted in Shows on 8 June 2013 by Ilse van Erp.